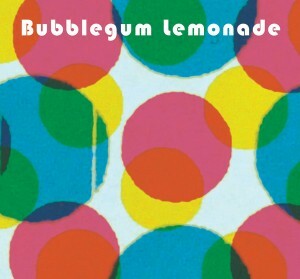 Brilliant second album from modern Scottish pop revivalists Bubblegum Lemonade! The record is the highly anticipated follow-up to the celebrated 2008 debut album 'Doubleplusgood' and proves there’s no end to Laz’ pipeline of bubblegum pop hits. ‘Sophomore Release’ starts off strong with another airing of recent smash single 'Caroline's Radio', a fantastic Scottish pop classic that pays homage to offshore pirate radio station Radio Caroline with spirited lead guitars and rich harmonies perfect for surfing the medium waves. ‘Maybe Someday’ is a mid-tempo hypnotic song with jangling guitars, a pulsing kick drum, groovy 60s bass line, and nice bits of glockenspiel, while ‘She's Got A Gun’ is number 3 with a bullet, featuring a fuzzy 12-string guitar intro and more ace harmonies. ‘You Only Leave Twice’ is a smashing little tune, boasting big 60s production, soaring harmonies, acoustic guitars, bongos, and more glockenspiel, while ‘We Could Send Emails’ is a clever nod to early Aztec Camera with poetic lyrics, a circular jangle riff, ba-ba-ba refrain, more 12-string guitars, and nice harmonies. Meanwhile, ‘Alice Please’ is slow-burning psychedelic pop that recalls fellow Scots The Bachelor Pad with its fuzzy stop-start guitars and rolling drum rhythm. Side two of the album kicks off with the up-tempo ‘Living For Today’, a nice slice of ‘Darklands’-era Mary Chain pop with a shoegaze bridge leading to what is possibly the album's best guitar solo. ‘Girlfriend Ghost’ slows things down a bit with an atmospheric tale of relationships past complete with haunting counter melody and vocal harmonies that bring to mind The House of Love or various bands from the American Paisley Underground. ‘Autumn Sky’ is a page from Laz' autumn almanac, set in 3/4 time and boasting major seventh chords, a lilting rhythm, Beach Boys percussion, and more handsome harmonies. ‘You're Still Beautiful (When You're Sad)’ is another instantly memorable smash with 12-string intro, playful lyrics, and jangling chords that build to a ba-ba-ba conclusion. ‘When She Goes’ is a slow 12-string chimefest originally recorded by Laz’ former band The Search Engines now back by popular demand with Sandra of Strawberry Whiplash on backing vox and a nice Phil Spector-inspired drum pattern. Finally, ‘Last Train To Clarkston’ is an up-tempo album closer that pays respect to the Monkees with plenty of 60s guitars and loads of tambourine. Inspired by all the right pop music from the past 50 years, Bubblegum Lemonade create insanely catchy and melodic songs filtered through their very own scruffy Glasgow charm school. ‘Sophomore Release’ builds on the great promise exhibited on ‘Doubleplusgood’ with a wide variety of song types, rich instrumentation, superb female harmonies, and enhanced production. A modern classic!